the Hudson in Ossining has long been talked about. Now, the concept is being revived among those who care about Sing Sing’s unique position in the history of the American penal system. What's next for Sing Sing​? ​built on hill east of the railroad tracks in the 1920s and ‘30s. 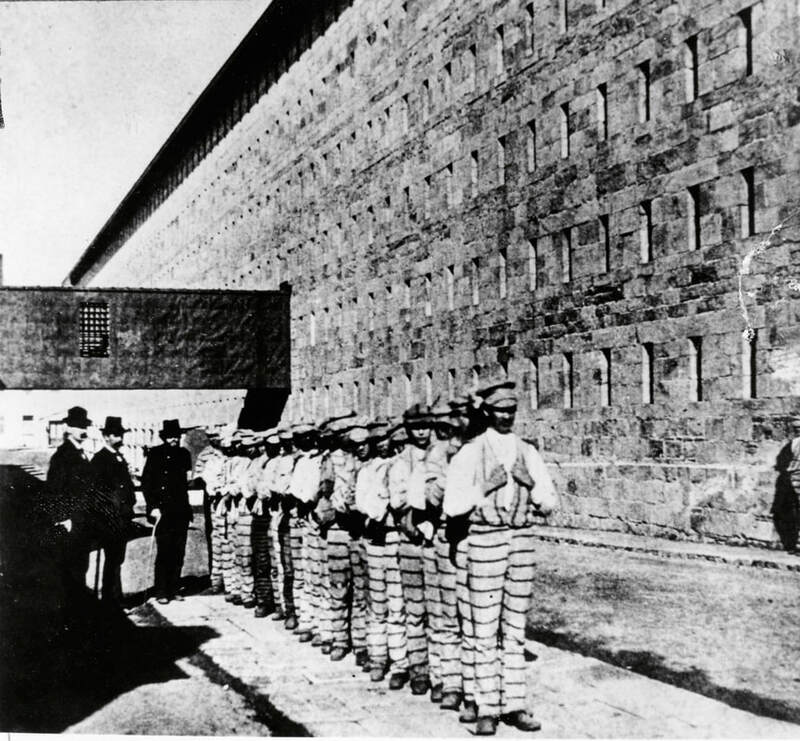 19th century convicts line up to march to work in the prison factories in a lockstep, one component of the old Auburn System of penal control. Sing Sing Corrections Officers salute a fallen officer during the annual memorial ceremony. One was John Hartye, killed during an escape in 1941.
any other New York State prison.